The ore crusher is a kind of mechanical equipment used for crushing ore processing. The common ore crusher has jaw crusher, impact crusher, hammer crusher, mobile crusher and other crushing equipment. The ore crusher is used. The mechanical equipment of the ore crushing process, the wear of the ore crusher is quite serious, and Shanghai Joyal Mining Machinery here and everyone talk about the wear and tear of the ore crusher. The natural wear of the ore crusher refers to the change in the geometry and size structure of the instrument components caused by the mutual friction between the various components of the machine during the normal use and operation of the ore crusher machinery. 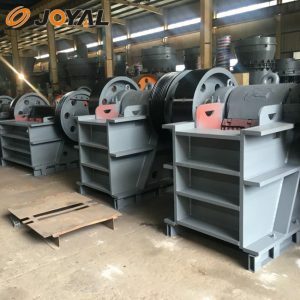 This part of the wear is usually slow, the hazard will not be caused in a short period of time, users need to pay attention to the maintenance of the ore crusher. However, due to the wear of the ore crusher parts, the mechanical contact gap between the parts will increase. After a long period of wear, the parts that should be combined to work together will increase the gap due to wear and tear. A good combination, which will seriously affect the production efficiency of the crusher equipment, and if it is not possible to replace the wear parts in time, it may even cause damage to other components, resulting in greater destructive damage to the crusher equipment. The ore crusher belongs to heavy industrial equipment. The loss caused by wear during the process is relatively large. Therefore, in the process of using the crusher, we need to timely perform good maintenance and replacement of various types of wearable parts. Only when we find the problem better in the process of use and deal with it in time can we ensure the higher efficiency and normal safe operation of the crusher. Next: Why does the jaw crusher have uneven discharge?